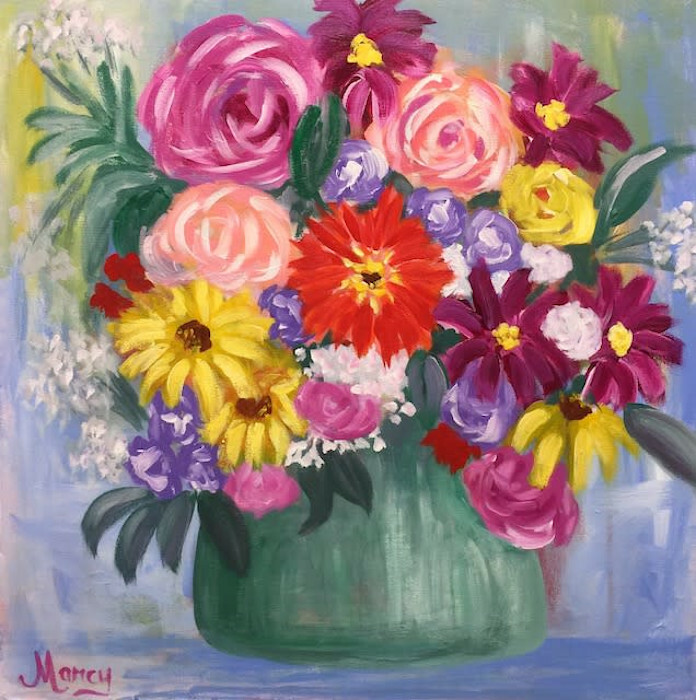 Bright and colorful floral bouquet to bright any spot in your home or office. Acrylic on canvas with edges painted and wired and ready to hang. Free shipping!